Product prices and availability are accurate as of 2019-04-13 13:20:37 BST and are subject to change. Any price and availability information displayed on http://www.amazon.co.uk/ at the time of purchase will apply to the purchase of this product. "70cl / 44.0% - Behold, the Jura 1984 single malt Scotch whisky, a bold expression inspired by the classic George Orwell novel, '1984', written on the Isle of Jura. 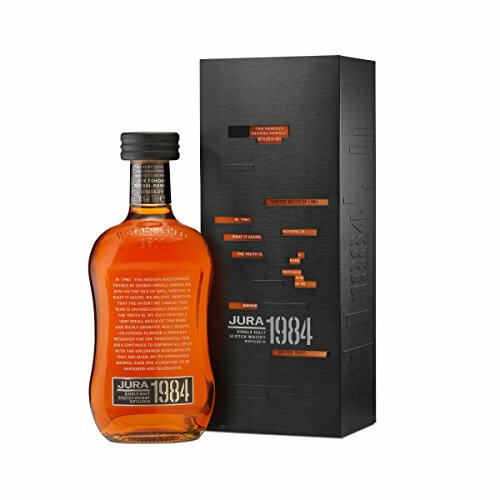 The whisky is a 1984 vintage, which was matured initially in ex-bourbon casks before enjoying a stretch in Gonzalez Byass Matusalem Sherry casks and then a finishing period in Amaroso and Apostoles Oloroso casks. 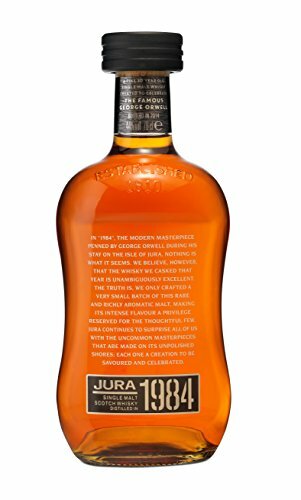 A great release from the island distillery. 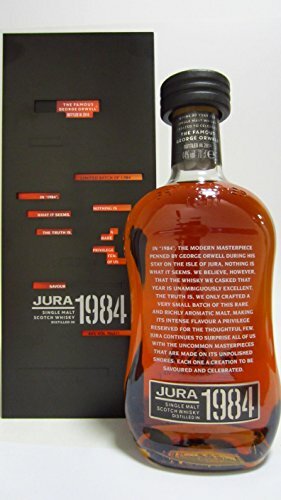 Only 1,984 bottles were released. This bottle was part of a private collection - if you'd like more detailed info and/or photos just get in touch."